New streaming service DAZN made a big splash this year in the US sports landscape starting out with the sports of boxing and MMA mainly so far. UFC president Dana White it would appear is more than ready to compete in both next year having recently joined forces with Roy Jones’ promotional company as he plots his assault on boxing in 2019. As well as competing further with Bellator MMA and possibly other promotions like Golden Boy MMA who could also be on DAZN next year. White has proven himself in the UFC world and the new year will bring about a new challenge in the boxing promotional world no doubt. One thing you have to admire White for is his drive and work ethic during the holiday season. While being a family man himself, he’s still worked straight through the holidays every day and taken advantage of any laziness from other promotional rivals and his competitors who may not have worked this holidays season. He really is relentless and obsessed with the fight business to be fair. It would seem the presence of British company DAZN into the US sports market has gotten some very powerful American entrepreneurs working together behind the scenes already at the moment. 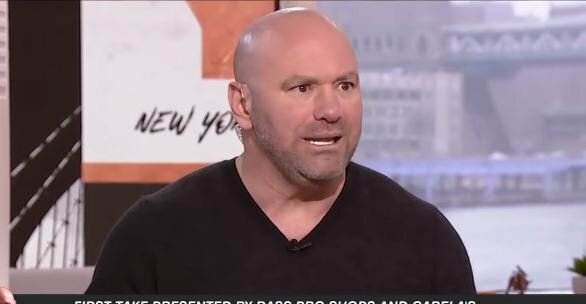 UFC fight pass is the UFC’s version of their subscription model and the organization is also linked with ESPN so all in all, expect battle lines to be drawn by everyone in the new year. All in all, 2019 is going to be a heck of a year for boxing fans with these added promoters in the game.